Have you ever cracked, chipped, or even broken one of your teeth? Are any of your teeth discolored or strangely shaped? It seems that no matter how careful we are, we still come across problems with our smiles. Here at OnCall Dental we work hard to provide options to our patients for fixing cracked, chipped, broken, misshapen, or discolored teeth. One of the great options we offer for fixing these issues are dental crowns. 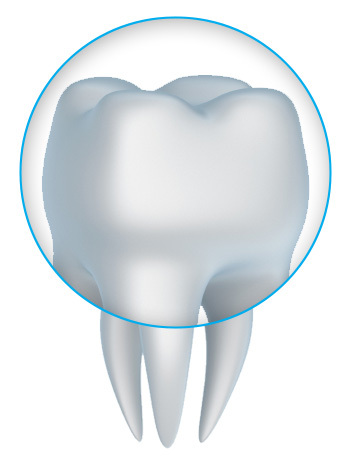 Dental crowns are teeth caps that are placed over a carefully reshaped original tooth. These teeth caps help protect your original tooth, so that it can continue to serve you for years to come. Large Cavities | If a large cavity compromised the strength of your tooth, teeth caps can be used to help preserve the remainder of your tooth after the cavity has been fixed. Root Canals | Most root canals will require that you receive a tooth crown to help protect your natural tooth. Failed Fillings | If you have an old filling that has failed, we can use a tooth crown to help restore the appearance and functionality of your tooth. Cracked, broken, misshapen, or discolored teeth | If one of your teeth (particularly molars) fits any of these categories, we can use one of our beautiful porcelain dental crowns to help repair the damage. At OnCall Dental, we choose to use porcelain crowns because of their ability to act just like your natural teeth. Porcelain dental crowns are beautiful, durable, long-lasting, and do not have special dental hygiene needs. We also offer wonderful CEREC porcelain crowns as an option to our patients. By using the fantastic CEREC III D system, we can create a beautiful custom made crown for you in as little as 90 minutes. Have more questions about dental crowns? Please contact us today! OnCall Dental is here to help in the Phoenix area.